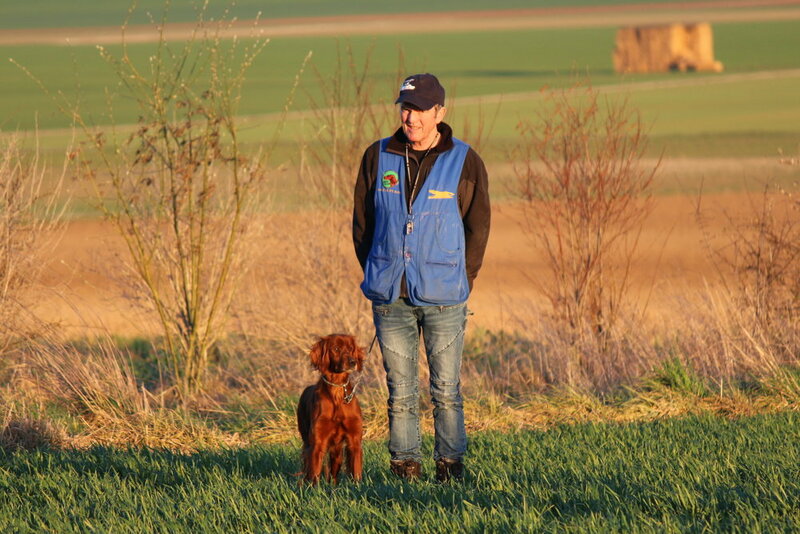 This year the spring field trial 2019 took place over 2 days; the day organized by Switzerland did not have the authorization of the SCC. It is nevertheless 2 batteries of 15 dogs in couple and 2 batteries of 8 and 9 dogs in solo who were present. Several nations were represented (France, Switzerland, Italy, Germany, Denmark, Belgium, Holland, Ukraine) and the European jury was composed of Martine and Jean Pierre Gotti, Lionel Gay, Guido Orsan, Christie Davitt and Bernd Gimbel. The level of the dogs were very high this year and a barrage was needed to split the 2 CACIT and it's LOTUS des Démons de Gergovie owned and driven by Bernard Trubuilt who is crowned European Champion 2019 and NEMO BMZ owner and driver Gianni Bonatto who is vice champion. At the PSI 3 dogs were selected: Hummingbird to Stephanie Trueb, Mascotte de l’Anse deTy Roux to Yohan Bouder and Linotte de l’Anse de Ty Roux to Bernard Trubuilt, LINOTTE wins this style prize after making the CACT of Solo on Saturday. 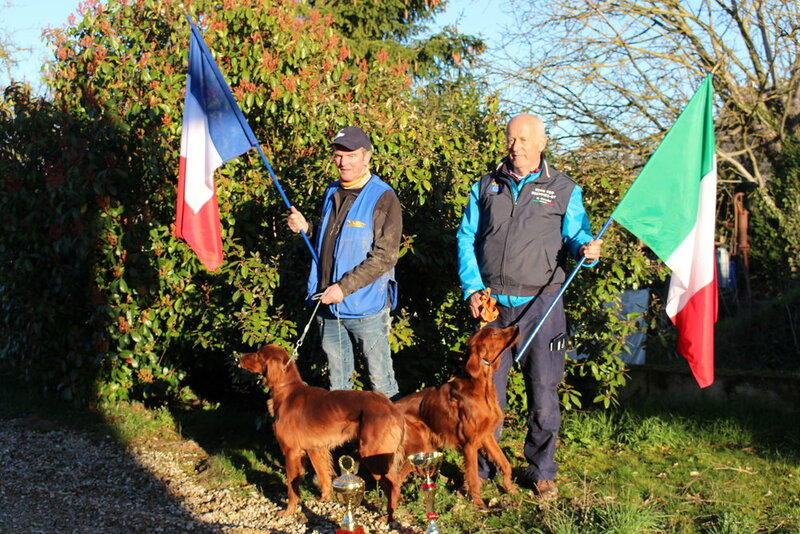 The Derby for dogs under 2 years, judged by Laurent Pernin and Jérôme Delmas, grouped 15 dogs and was won by NERON des Bords du Clain Clain to Jean-Paul Thouvenin and led by Olivier Réau.